GROUP 3.4: ANTONIO MENDOZA, LINDA PARNELL, ADAM TERAOKA & LIZZY WARONKER: OPENING RECEPTION: SATURDAY, SEPTEMBER 29, 6 TO 9 PM. 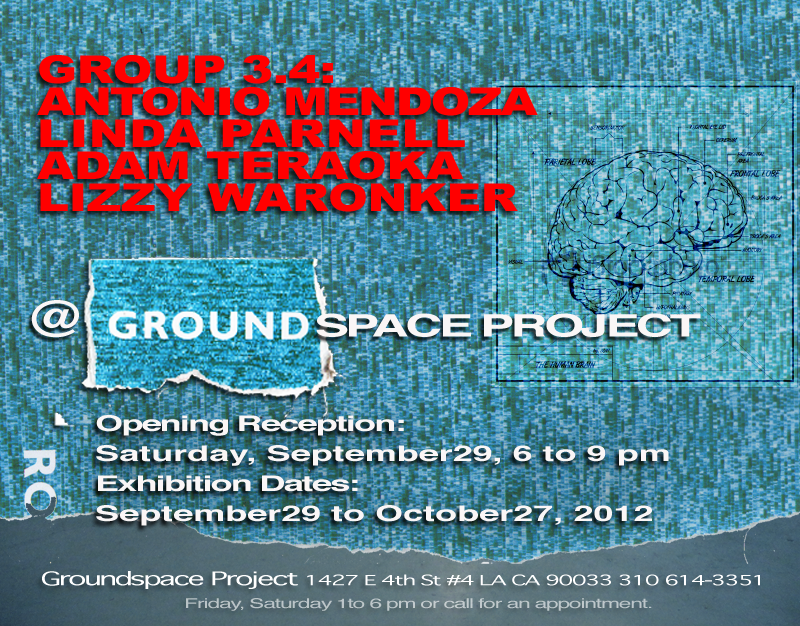 Join us for another lovely opening reception at Groundspace Project. Meet the artists, see the artwork, have a cool drink and be part of the conversation! Exhibition runs through October 27, 2012.